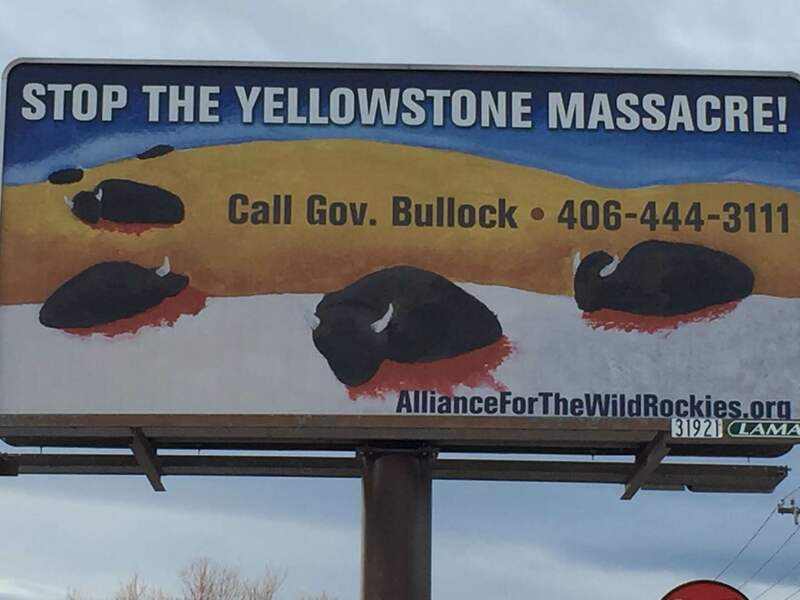 This week billboards went up west of Bozeman on the highway leading to Yellowstone National Park and in Helena near the state capitol building asking Governor Bullock to “Stop the Yellowstone Massacre.” This is the headline message overlaying a stark winter landscape covered with bloody, dead Yellowstone buffalo. The billboards’ sub-headline reads: “Call Gov. Bullock – 406-444- 3111.” “Gov. Bullock has the executive power to stop the Yellowstone buffalo slaughter,” Kelly added. “If enough people call we’re hoping he’ll listen and act responsibly.